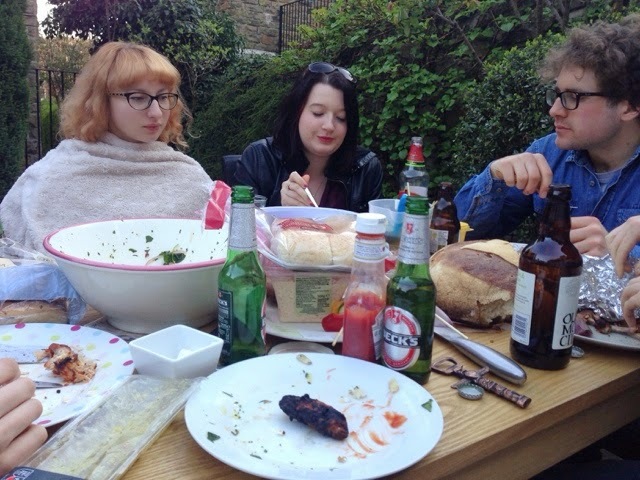 Well I've been spending an awful lot of time outside recently and I'm not complaining, but it does make getting chance to blog a lot harder. Check out what I've been up to and see what Laughs, Loves and Little Things have happened in my week. 1. 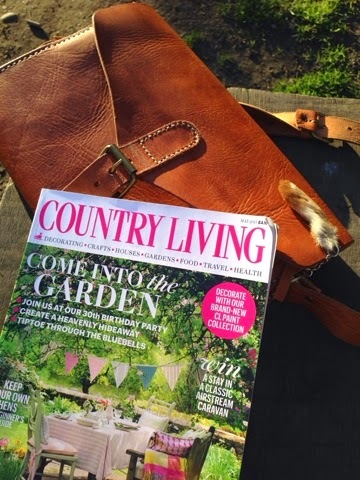 I sat in the park after work last week with the latest issue of my favourite magazine 'Country Living' trying to make the most of the beautiful weather we're having! 3. 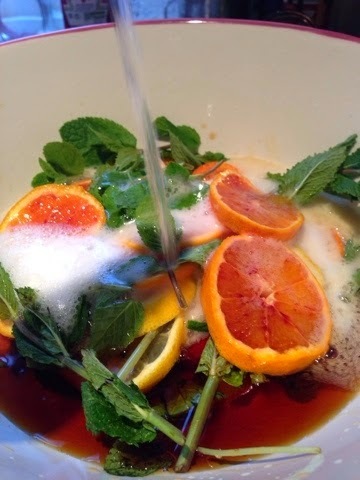 We made up a big batch of Pimm's and lemonade with plenty of fruit and mint! 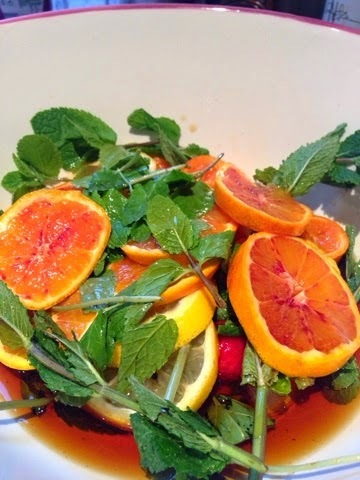 So refreshing on a hot day! 4. I met up with Charlotte for a potter around the Sharrow Vale Market. We had very little self control that day, our bags gradually filling up with doughnuts, cheesecake, pastries and good quality jams. 5. Apparently the cakes weren't enough so we stopped of at Seven Hills Bakery for lunch as well. 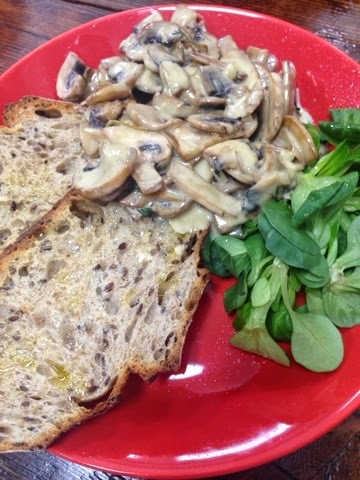 I went for the mushrooms on toast, a favourite of mine, and they did not disappoint! 6. 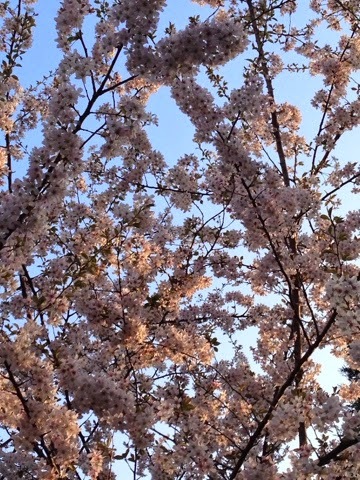 It seems that everywhere I look trees are coated in blossom, such a pretty sight!!! 7. I received this photograph of Belle from my mum. 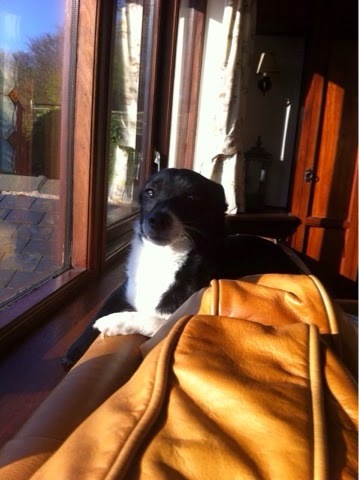 Isn't our little dog just the cutest, she love to sunbathe and is the biggest poser I know!